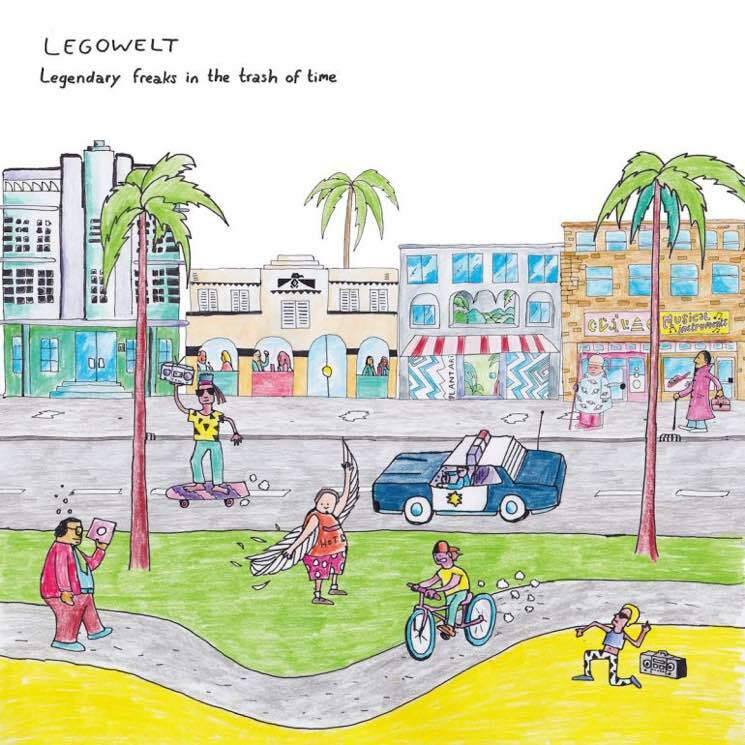 With a career spanning back as far as the early '90s, and a near-endless list of monikers that sound straight out of The Hitchhiker's Guide to the Galaxy, Legowelt (aka Danny Wolfers), straddles that fine border between respectable musician and complete oddball. Legendary Freaks in the Trash of Time (the artwork for which Wolfers hand-drew) marks the Dutch producer's first release on Clone in five years, and it's a psychedelic log-ride through more styles than you can shake a synth at. Regardless of whether he's shuffling through acid techno ("Computerized Paradise"), Drexciya-esque cosmic jams ("My Life in a Bush of Spaceweed") or jazzed-out ambience ("NorthSea Wisdom"), everything is incredibly synth-heavy, so much so that one gets the impression this guy must be tripping over equipment just to get to the bathroom. In fact, a look at the 'Synthesizer' section on the Legowelt website brings up a list of hardware that borders on hoarding. Naturally, a lot of this gear is old, which is in no way a slight: it just means that Legendary Freaks in the Trash of Time is rife with beautiful-sounding vintage audio.